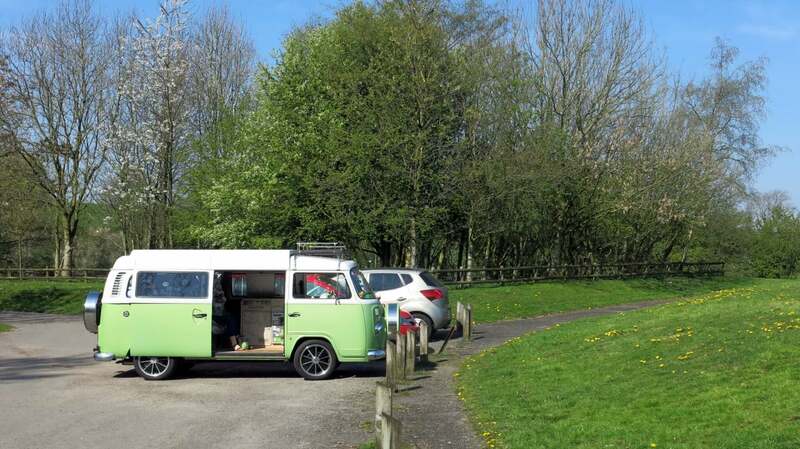 It’s MOT and service time again, so we headed back to Knights Folly Farm campsite in Bitton to set up camp within driving distance of Danbury’s place in Yate. Absinthe was booked in for Friday, so we drove down on Thursday in glorious sunshine and arrived around 3.15pm. The event tent was soon popped up and we chilled with a beer and a bite to eat. Why is it that sitting in a field in the sunshine is so much better than just sitting in the garden? 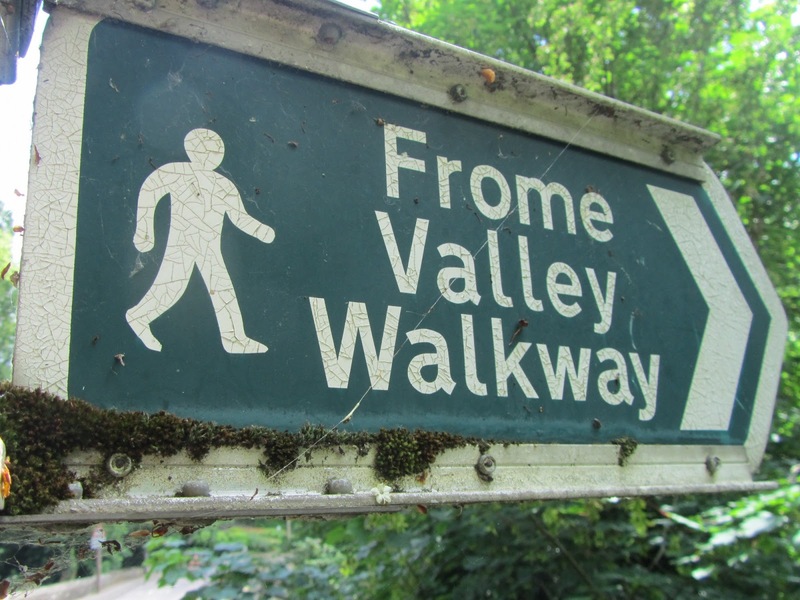 We were up early on Friday to get to Danbury by 8.30am and soon had the paperwork done and set off with Boris on a long walk to Chipping Sodbury, along the Frome Valley Walkway. It’s not the best sign posted route and we had to back track a couple of times to find the way, but eventually arrived in Chipping Sodbury, to enjoy a bacon sandwich in the sun. 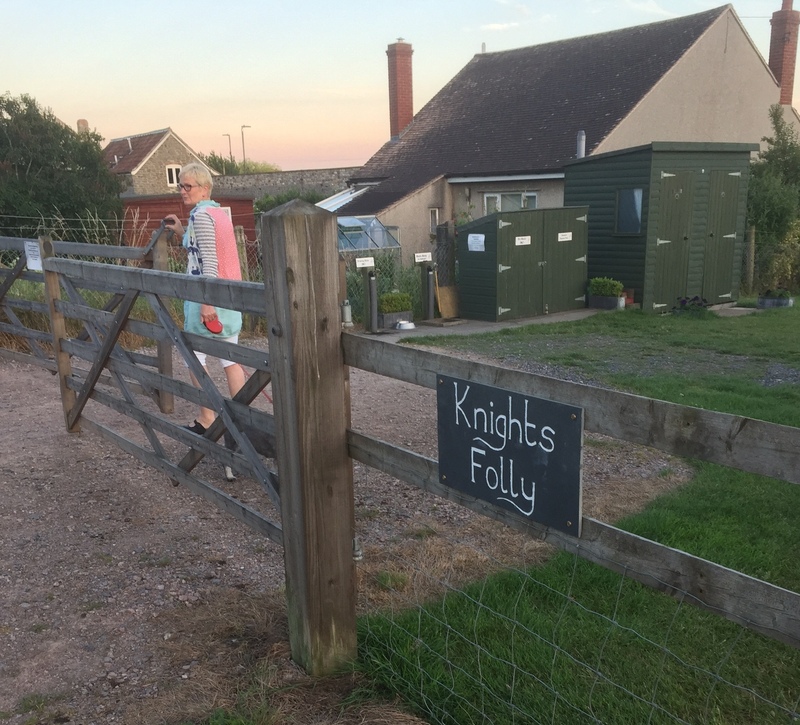 It was still quite early, so we decided to press on to Old Sodbury where the Walkway ended and joined the Cotswold Way. 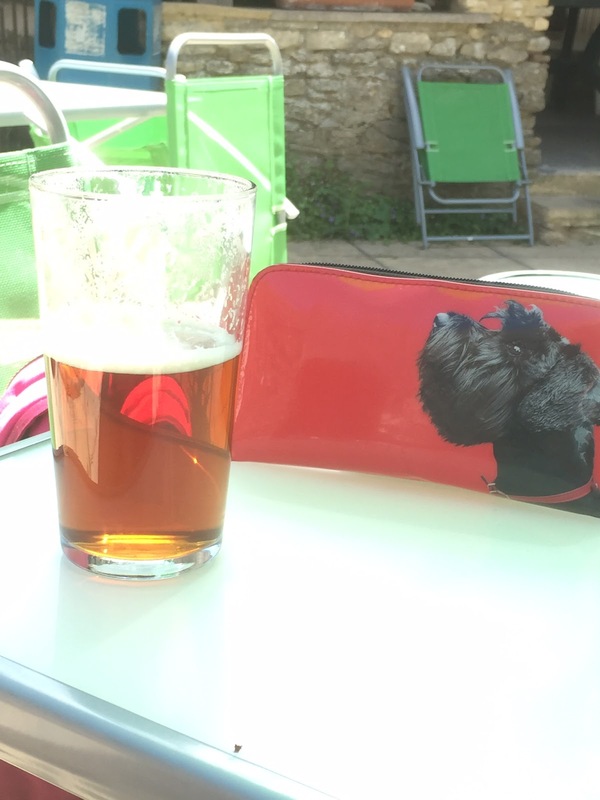 A quick pint at the Dog Inn and we headed back to Chipping Sodbury. 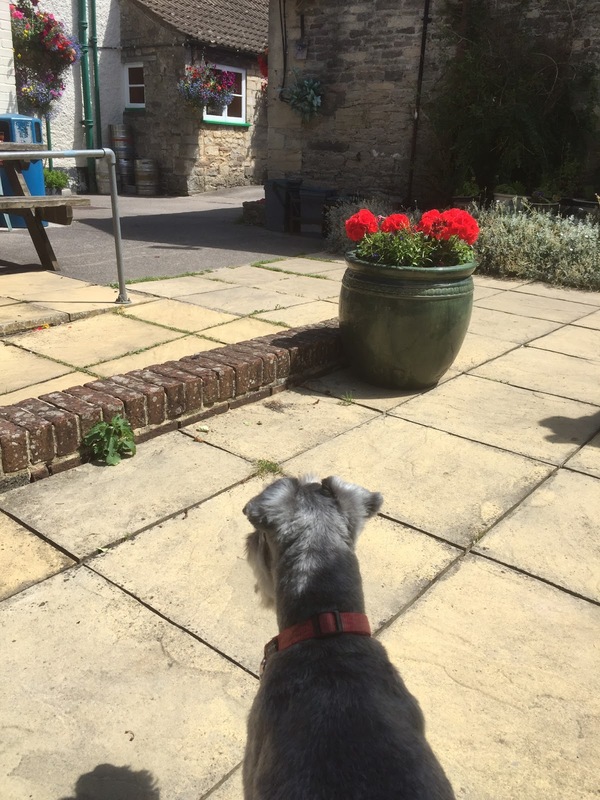 Boris was flagging a bit – it was too hot for him (despite a brief paddle in the river) and we’d walked nearly 10 miles by then, so we decided to get the bus back to Yate. First though, a cup of tea and a bowl of water for Boz. We managed to miss one bus before the next eventually arrived. Alison tried to pay the driver but he said his machine wasn’t working and we could travel for free. Bonus! Actually, when we got to Yate shopping centre the driver swapped for another one and, miraculously, the machine was mended. We reckon he’d already cashed up and didn’t want to re-do it! We got off at the Station and started walking back to Danbury, when we were passed by Absinthe coming back from the test centre, driven by Andy and his apprentice, Zac. They picked us up and drove us back to their place. She’d passed the MOT with no issues so we could get back to Bitton to enjoy the rest of the weekend. Phew! 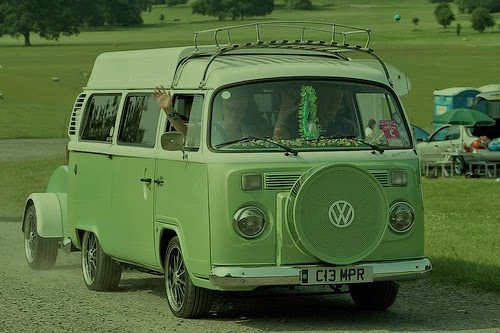 Whilst at Danbury we saw a van that was as close to Absinthe’s shade of green as we’ve seen. Saturday brought bacon sandwiches and sunshine. 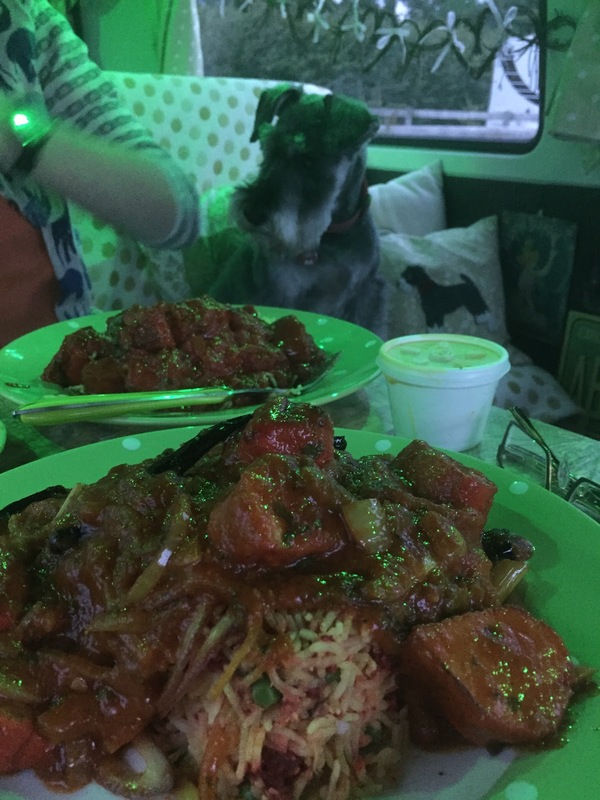 We decided to drive to Shepton Mallet and then on to Glastonbury – two towns we’ve never visited before. 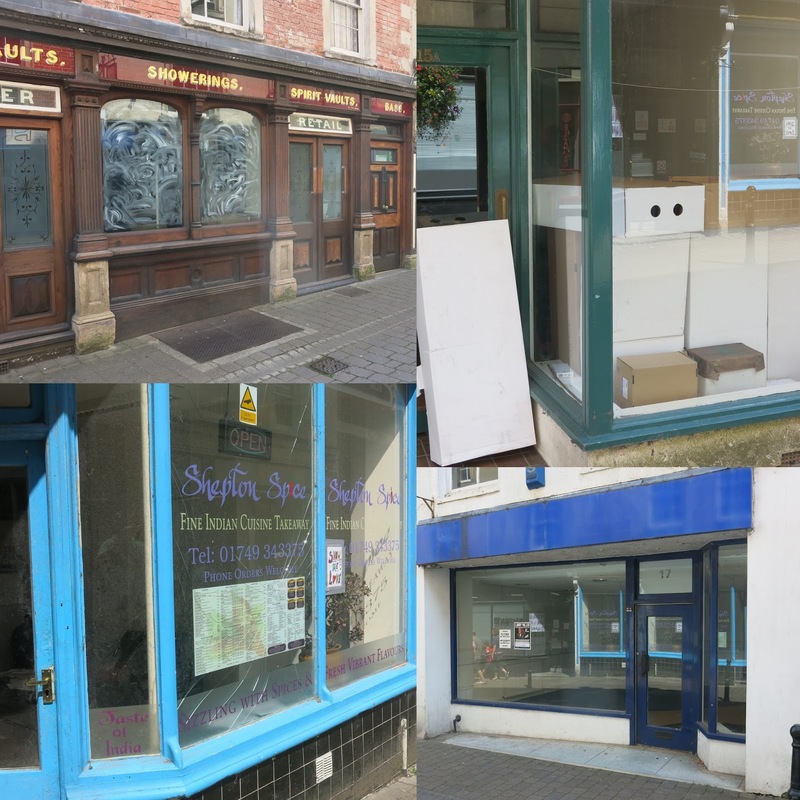 Shepton Mallet was a huge disappointment – it has the potential to be a lovely market town but it seems to be struggling. 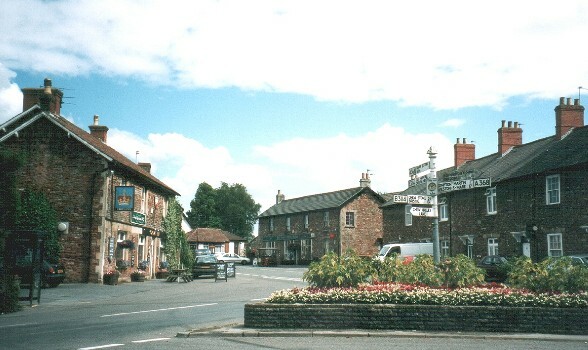 The High Street is full of run down and empty shops – everything seems to have moved to the shopping area out of the town centre. 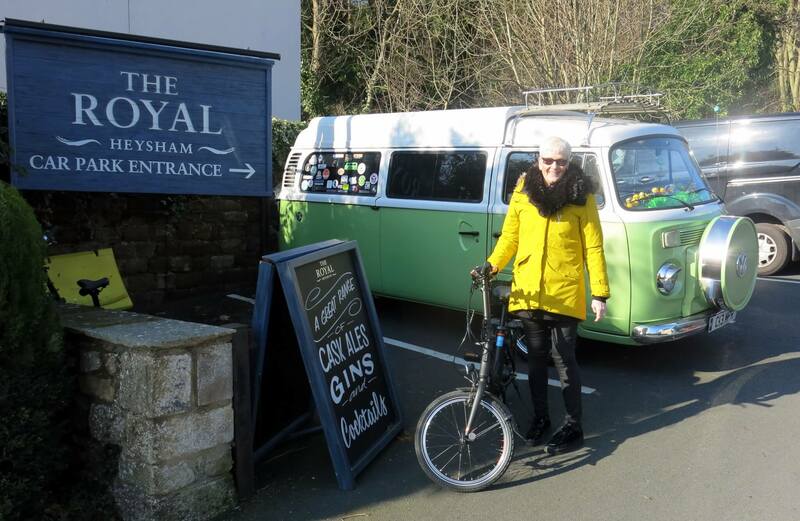 We didn’t stay long before driving on to Glastonbury where we stayed for quite a while. 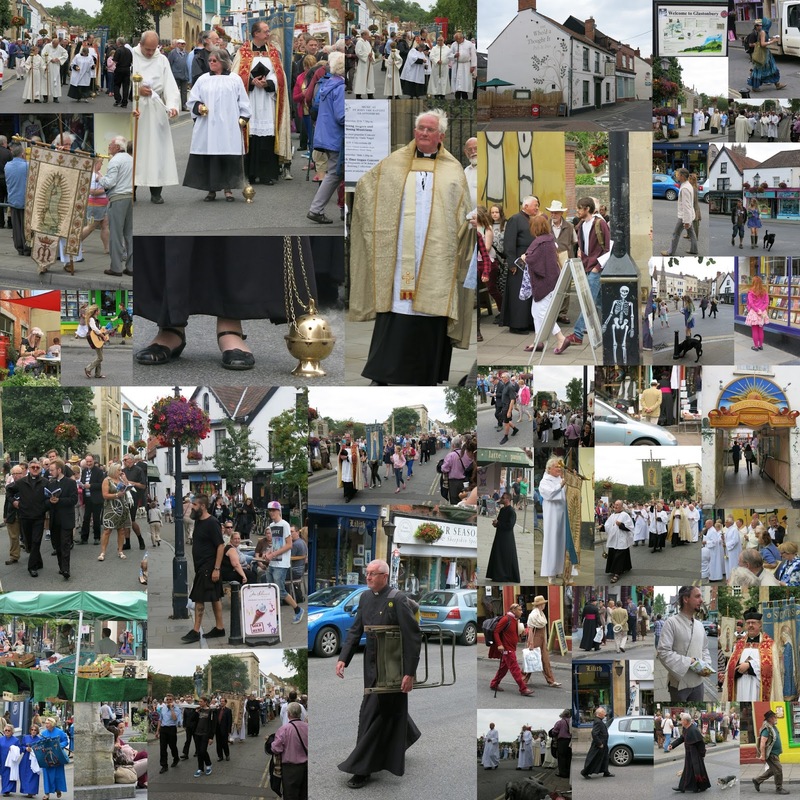 If Shepton Mallet was notably for the empty shops, Glastonbury was brilliant for people watching – and what people! We called into a cafe for lunch and managed to get a seat in the rear garden area with Boris. The waitress gave him a couple of dog biscuits and then, later, the chef fished around in the chiller cabinet and found him a full sausage. The clientele was eclectic and I was fascinated by the girl who arrived in a pink tutu with pink hair and sprayed Aura Cologne in our general direction, before rubbing her crystals and rolling a cig. Only in Glasto I suspect. My tea was interesting too. We watched a large group of Pilgrims gather, before they formed a procession through the Town, singing to the Battle Hymn of the Republic, which struck me as a missed opportunity. To Be A Pilgrim would surely have been more appropriate. Apparently, Saturday was the Protestants turn. The Catholics were due on Sunday but they take a much longer route for their procession. Left foot forward I assume. I’m not a religious person but it always amuses me, the air of self-importance that some members of the clergy adopt. It’s clear that there’s a hierachy that I don’t understand and cliques within cliques. As I said to another non-believer, as we smiled knowingly whilst taking photos, “At least it keeps them off the streets” or maybe not. We left Glastonbury and Alison drove us towards Ceddar Gorge – somewhere she’d been in her youth and she’d wanted to revisit for some time. I don’t think I’ve ever been and wasn’t sure what to expect. 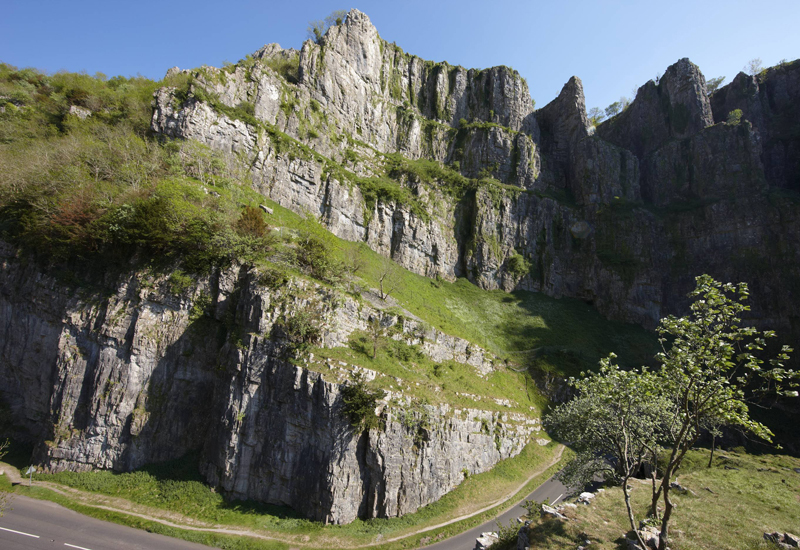 The drive was lovely and Cheddar village looked nice enough but I wasn’t prepared for the level of retail and commercial activity as we approached the Gorge itself. It was a bit Blackpool like for me I’m afraid. The Gorge was a nice enough and busy as you’d expect on a Saturday afternoon. 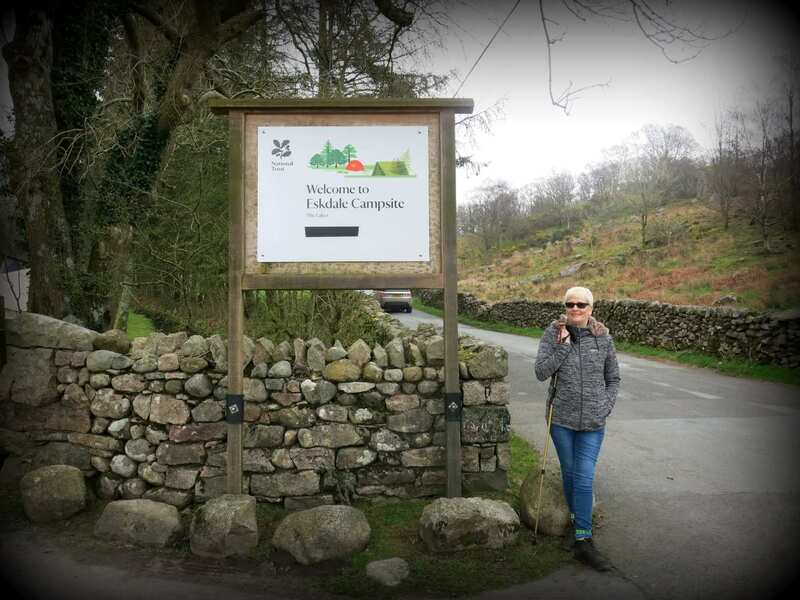 Malham it wasn’t! 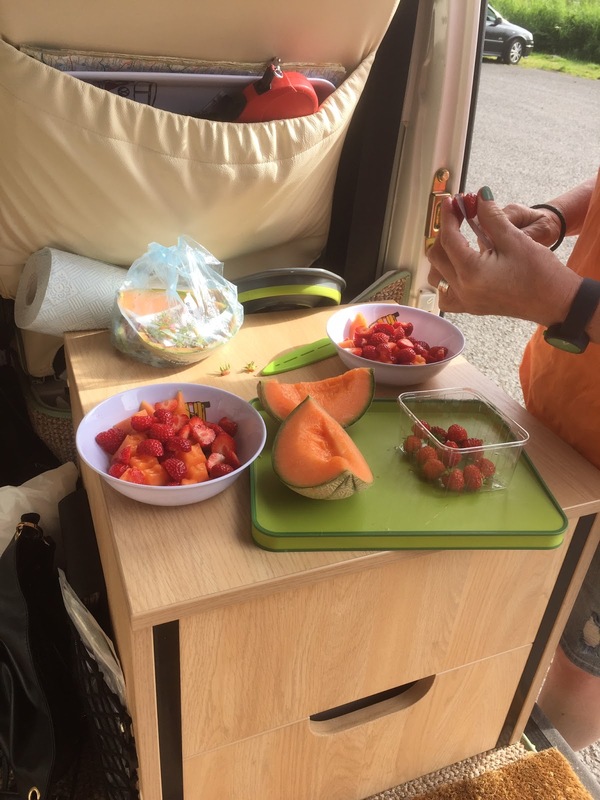 We drove on through the Gorge and opted to head for a picnic spot near Chew Valley Lake but not before stopping in the village of West Harptree for supplies. Alison bought some local strawberries and some cream to have with them and it was a good choice. I got us lost trying to find the picnic spot but eventually we pulled up and were rewarded by the sight of another Danbury parked in the car park overlooking the reservoir. We were back to the site too late to get into any of the local pubs for food (despite my frantic phone calls) so I used the JustEat app on my phone to order an Indian takeaway. A series of calls later I managed to persuade the takeaway that they’d be able to find us and, soon after, a taxi arrived with our food. We’ll definitely be doing that again, although Boris was disappointed by the lack of free popadoms. A few glasses of wine and it was time for sleep. If it’s possible to sleep with a thrutching schnauzer taking up most of the bed. 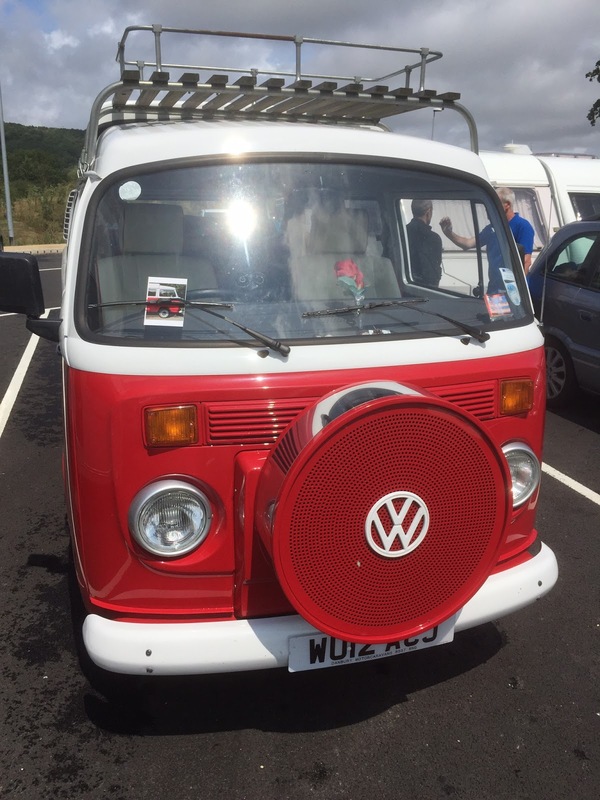 Sunday had us packing up before driving back via the fantastic Gloucester Services on the M5, where we met another couple of Danbury owners on their way back from Lyme Regis. For once, and despite some rain, the trip home up the M6 was fine and we arrived safely home by 4pm. Next stop France in a couple of weeks – we can’t wait.